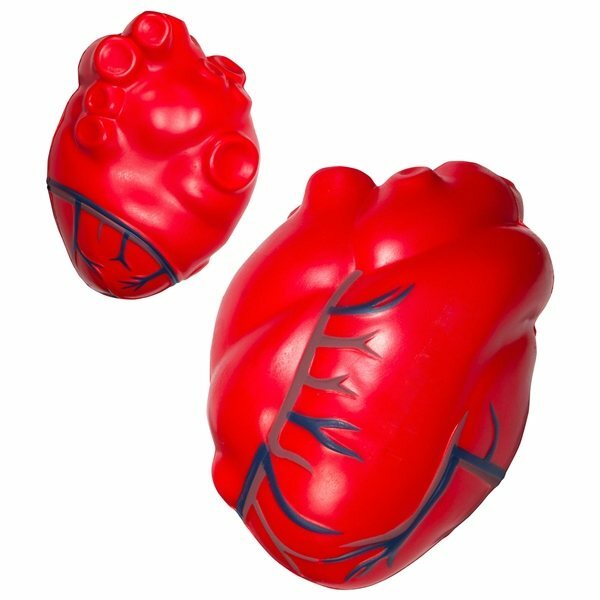 Heart with blue veins shaped polyurethane stress reliever. Product was perfect! Great customer service too! the logo was printed exactly as it should have been. great product...works great! It was very clear and bold and looked very nice. Nothing I didn't like. The product is an excellent accessory for our marketing materials. The printing was obvious and color was in keeping with our description. I wish the logo was good as provided.